Two weeks ago, the Sacramento County DA declared that the officers in the Stephon Clark killing feared for their lives and “acted lawfully under the circumstances.” Thus she argued that the shooting was justified and that her office was not pressing criminal charges against the officers. Had she stopped there, people would have been upset, they would have protested, but it would have been fairly limited. The problem was that she did not stop there. She went on to detail 46 hours of events that led up to the shooting. The problem, as many have pointed out, is that none of that had anything to do with the shooting itself, because the officers did not know the events at the time. This past week I met with a former prosecutor and the subject of the Stephon Clark case came up. We were largely in agreement – under the current law, DA Anne Marie Schubert was correct not to file criminal charges against the officers. Both of us believe that that this needed to change and we support AB 392 to do that. At the same time, the problems were compounded because the press conference and subsequent handling of protests were poorly carried out. Filing the criminal charges under current law was largely the only thing that both she and law enforcement did right here. There was no need to make it as personal as she did, by delving into the text messages. She could have stuck with the law and rested on it. That made something that did not need to be personal, personal. The police mishandled the protests on the streets – they should have left well enough alone and only arrested people that they directly saw engaging in the destruction of property. 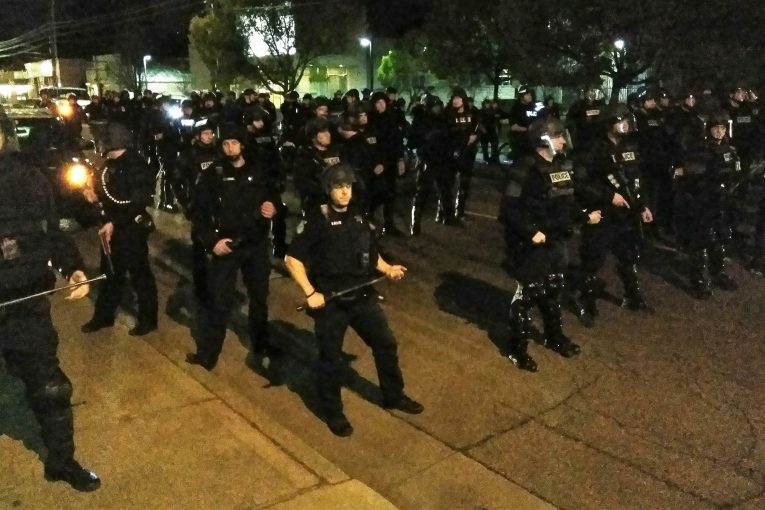 Instead, they issued questionable orders to disperse – so questionable even the DA’s office declined to prosecute – which caught a wide net of protesters, including journalists with clearly displayed press credentials. The explanation offered by Chief Hahn was clear as mud. 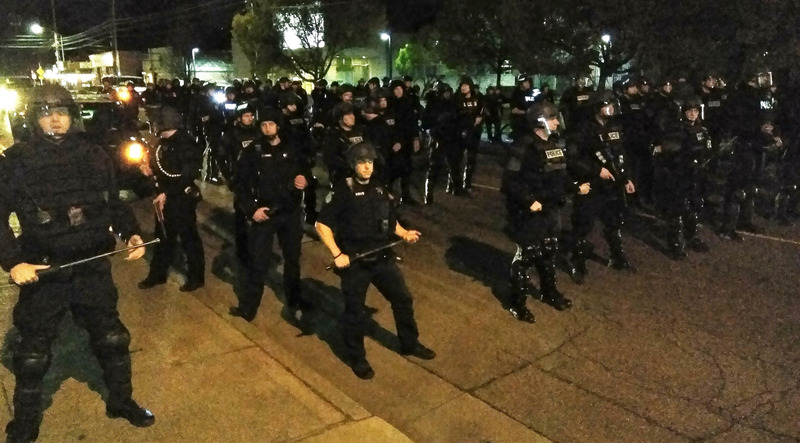 Chief Daniel Hahn told the Bee that he had “no answers for why his officers arrested 84 people at a relatively small demonstration in East Sacramento.” He told the Bee that he “wasn’t there” on Monday night. Moreover, he said he didn’t know who was in charge of police tactics. If his purpose was to inflame the situation – good job. If it is to convince the legislature on AB 392 – take another approach. The problem that everyone struggles with is that a guy who has a cell phone and is breaking windows, but otherwise is not a threat, is then shot and killed over misdemeanor charges. The question: Is there a better way to do this? Of course they do. Officers make these choices all the time. It’s called discretion. They decide whether to give someone a speeding ticket or let them off with a warning. They decide when to pursue a speeding vehicle, and when doing so endangers more lives than the risk calls for. The Stephon Clark situation is exactly the type of situation that has been so problematic for law enforcement for the past decade now – how to deal with an individual who is not cooperating but does not really represent a danger to them. I think what the legislature and a good section of the community want is that police officers will only use force – particularly deadly force – when it is really necessary to protect the community. We see shootings like Joseph Mann, Dazion Flenaugh, Stephon Clark, Mario Woods, and many others and we are left wondering if there is a better way to avoid the loss of life in situations that under the current law are not illegal shootings. Timothy Davis complains about a lack of respect for the rule of law – but the rule of law is undermined when its application seems disproportionate or discriminatory. He is right to point out that there is a line that must be threaded here, but he is wrong to insist that, by trying to redefine that line, we are trying to undermine the rule of law. I would argue as I have before – these kinds of shootings undermine the rule of law, because communities of color believe they are being singled out and systemically and disproportionately the target, when police officers engage in the use of deadly force. Rather than having a dialogue to engage better understanding, people like Timothy Davis are enlarging the gulf by doubling down on and attempting to justify failed tactics. Timothy Davis sees AB 392 as a threat, but he’s not going to defeat that threat by using the approach he does. If anything, he is demonstrating to the legislators in the middle why the law needs to change. Previous : Sunday Commentary: Did Judge Err in Striking Down Approval of Trackside? 1. The number of 84 arrest seems many. But according to the sac bee reporter, the group had about 150 protesters then 1/3 left. So in the context, it seems that the police arrested all that remained. I am not saying they were correct, but the context might matter. 2. You argued that the DA shouldn’t include any information from hindsight, but the footage shows that at the time of the shooting, all the officer could see was that Clark seemed to be pursuing them with a gun in hand around the corner. If Clark was in fact doing so, then his crime would not just be a misdemeanor. (Fact check: is resisting arrest a misdemeanor or felony?) You only know that he was not holding a gun in hindsight. Given that the charge was unlawful assembly, the fact that the police arrested 84 was a logical and fair consequence. The number 84 was irrelevant. It only means that the police showed up with the capacity to deal with that size of assembly. The question remains whether the police should arrest at all, not that the police arrested 84 people. * Legal details about journalists still applies.